Lately I’ve been battling with my straw like hair. My Moroccanoil is helping out loads but it can only do so much! I’ve had a load of caramel highlights put in and my hair is definitely showing signs of distress. Something I’ve used for a long time is the Bed Head Urban Antidotes line. They come in three stages #1 being for the least damaged, #2 being an intermediate treatment and #3 being for tresses in serious need of help! A while back I switched up my hair care routine as this stuff was getting harder to come by. I used to get it in TK Maxx for £12.99 a bottle. Lately however they’ve been pricing the conditioner at £24.99…as if! To my delight I came across this resurrection tween for £24.20 over at lookfantastic. This stuff is amazing and works instantly. My hair feels so silky and lovely after one wash and considering that you get 750ml of shampoo and conditioner, I don’t think there’s anything else as rich and nourishing for the price! I reckon I’ll get a good 3 months use out of these bottles, and that’s with my daily washes. Anyhow guys, if you’re looking for something to tame the frizz down and restore some harmony to your unruly locks then maybe give this a try?! That is a really good price. I notice that B&M Bargains sometimes has the Tigi stuff in as well, but its pretty sporadic. Actually, I have to say I’ve never ever bought or tried Tresemme, but I’ve been staying with my mum and I tried the Keratin Repair because she’s using at the moment, and its great! My hair used to be a bleached blonde, so I hear you on the ‘straw’ comment! 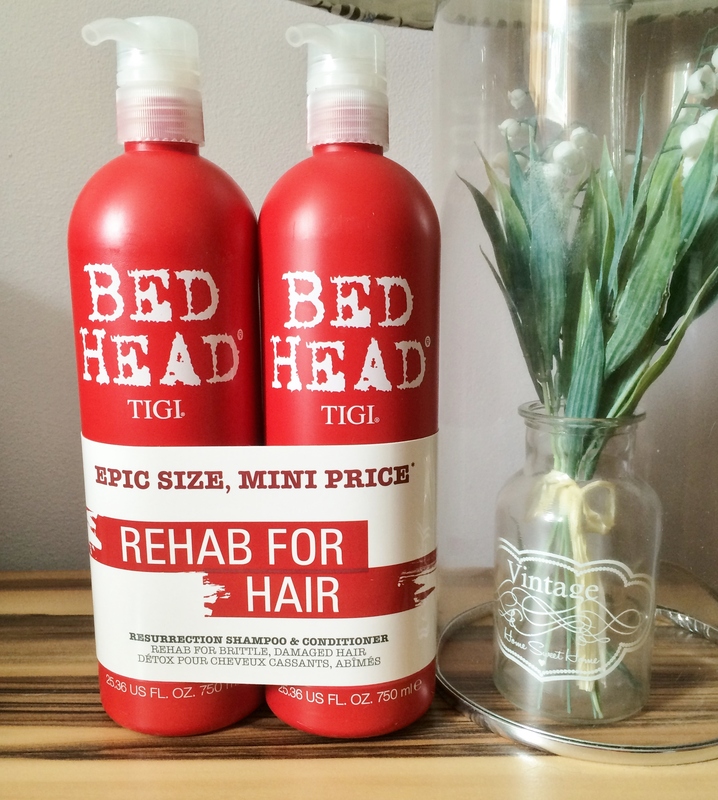 That stuff really helped, so I might buy some – could be a good budget option if you can’t find the Tigi stuff?